Kamrup District PGT Recruitment Notification 2017: Kamrup District PGT Recruitment 2017 Notification was published recently.so who are looking for Assam Government Jobs can check the post of this recruitment. interested and eligible intenders can apply through this page. 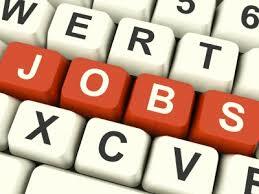 They are around 63 Vacancies are available now for Post Graduate Teacher Jobs. The board of department wants to recruit the capable aspirants to fill the required vacancies. Competitors who want to apply this job can take it as the challenge. with the help of links, Competitors can apply for this Kamrup District Recruitment 2017. we suggest the aspirants check the details of this notification on this page clearly in the table format. The officials want to fill the capable candidates. Aspirants submit the applications within the deadline 18th July 2017. Here you will get the required information to apply for the PGT vacancies. The job vacancies of the Kamrup district PGT has been showed on the official website. The publication date of kamrup district recruitment 2017 was given at below. who are seriously start their career in Teaching Field can apply for this notification 2017. As per the official notification, The basic required qualification is must have MA/M.Sc/M.Com in the relevant subject along with B.Ed Degree from the recognised university. The age relaxation for the participants as per the rules and regulations. The officials strictly mentioned that won’t accept the late applications. So for Further details go through the below section. Therefore read the complete Kamrup District PGT Recruitment 2017 carefully. According to this notification, you will let to know the additional details of this recruitment.The officials to select the capable candidates by conducting the selection rounds such as the personal interview etc. So who have faced all the rounds and cleared all the stages of the recruitment process will be selected into the organisation. Suppose if you are not selected this you do not need to worry about this post. you will find some other government job details. get the latest updates of this recruitment. If you are finalised for this post. aspirants will get the pay scale of Rs. 22,000/- to 87000/- with Grade pay Rs. 11,500/-. This is the best salary you can secure your life. Also some of the additional benefits you will get from the department. The Aspirants of individuals will apply against the Postgraduate teacher jobs on this page. The officials released the job openings in Kamrup district department. Based on the performance of the candidates only they will announce the final list who are suitable for this job. So interested candidates who are going to participate will browse for the PGT previous papers, Syllabus pattern, test pattern etc on our web page. So If you want other details of this notification you can clearly check in the formal notice. those links also uploaded on this page. So download the official advertisement for more clarification. The attached links are activated now. By click on it. you will apply directly on the official website. Aspirants must have MA/M.Sc/M.Com in the relevant subject along with B.Ed Degree with TET are eligible to apply for Kamrup District PGT Recruitment 2017. The age limit of the candidates should not exceed 43 years as on 01-January-2017. However, Age relaxation applicable as per the government India rules. To get application fee details we suggest all the aspirants must check the official Kamrup District PGT Recruitment 2017 Notification. The selection of the aspirants will be based on Interview. All the selected candidates will get pay band of Rs. 22,000/- to 87000/- with Grade pay Rs. 11,500/-.